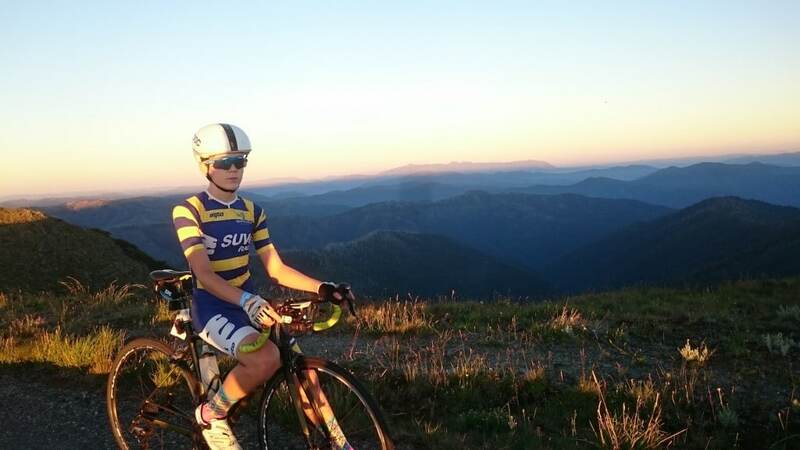 Robert Matthews completed the Audax Australia Alpine Classic 200 km Sunrise Over Buffalo ride in 2016 at age 13. This year he lined up for the 250 km Alpine Classic Extreme. When I signed up for the Alpine Classic 250 I knew that it was going to be a step up from the 200, which I did last year, but I didn’t realise how much harder it was going to be. Dad and I opted for the 4 am start, which for us meant waking up at 1:30 am because we were staying at my grandma’s place in Kiewa. As we rolled out of Bright in the darkness I said to myself “This is gonna be long day…”. It started off pretty slow then the group started a bit of a paceline and by the time we got to Harrietville my legs were already aching. Then we got to the climb. I began the ascent of Hotham with the front few riders but after the first few km I decided that I should save myself for the rest of the day and ride at my own pace and that’s what I did for the next 10 km. It was such a relief getting past The Meg and cresting the top of the first section. Too bad it was still dark and I couldn’t appreciate the view. Back to climbing. 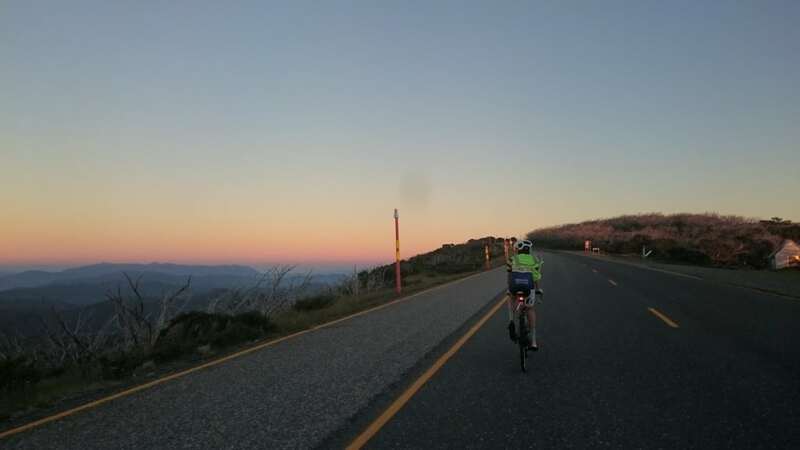 I took it easy for the next few bits and on the final stretch to the Summit of Hotham, I realised that there were going to be photographers at the top so I better take that ugly reflective vest off. It was now getting light so, technically, I was allowed to. The first checkpoint and food stop, which was at Dinner Plain, was quite a bit further than I expected. We had decided that we were only going to stop for five or ten minutes but when I saw a loaf of bread and a huge pot of Nutella I just couldn’t resist. So I quickly chowed down my sandwich and we got going again. 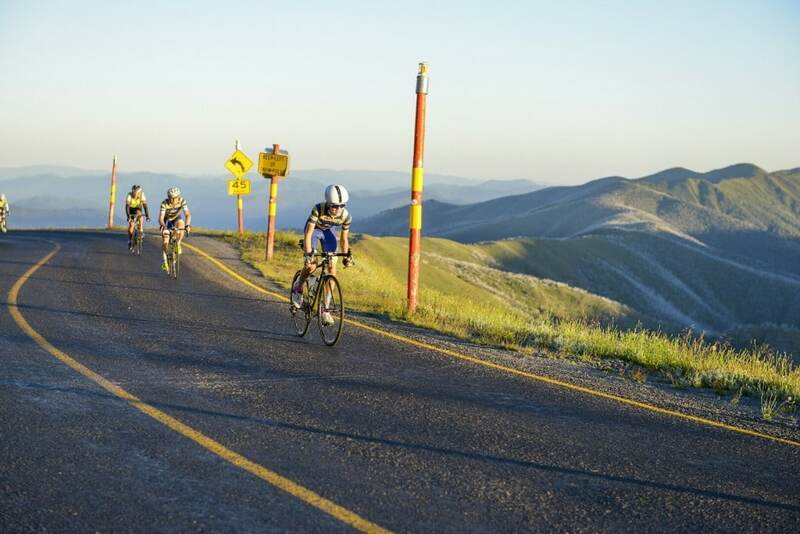 The descent was long, broken up with hills and a few flat sections which morphed into the road to Omeo. I was riding with a nice group of people who made a quite boring stretch of road a bit more interesting. I was feeling a little bit sore that whole time so when we arrived at the centre of Omeo and the road goes up out of nowhere I let the others go ahead while I rolled over it at a sensible speed. We didn’t take much of a stop at Omeo, just filling our bottles and grabbing a few snakes, before we set off again. The next 15 kilometres weren’t that fun, with a bit of an unexpected climb, before one of the most beautiful parts of the whole ride winding along the funnily named “Big” river. It was a bit unfortunate that I couldn’t appreciate it fully because the only thing that was on my mind was the extremely hyped climb up the back of Falls Creek. I was bracing myself for the worst when I saw the turn-off but nothing could have prepared me for what was to come. As I turned the corner, the writing on the road described exactly what I was feeling, “WTF!”. I was going down through my gears and then realised that it wouldn’t go into my easiest gear. This was going to be a long hill. And it was. The only distraction was the sound of mooing cows who, I told myself, were cheering me on. I made it up the first section of the climb and then decided that it was a bit too hard not having my biggest gear so I stopped and attempted to fix it for five minutes I just couldn’t get it to shift across and stay there luckily Dad was not too far behind and he was able to get it shifting in a matter of seconds. For the rest of the climb, I could now just spin up, in the 32, with relative ease. As we crested Falls Creek this almighty headwind came out of nowhere and was really demoralising. We pushed on and a smile appeared on my face as we arrived at the little descent and I could see the check point in the distance. This time we were going to have a decent sized lunch stop. I grabbed a veggie roll and some rice cream, remembering how good this was from the ride last year. We took our time to eat our lunch and then we got to the best part, the descent. I saw this young guy in Rapha kit who looked like a good wheel to follow and gosh he was! We leaned into all the corners, passing heaps of people and I barely even needed to use my brakes. Dad wasn’t feeling too good at Mt. 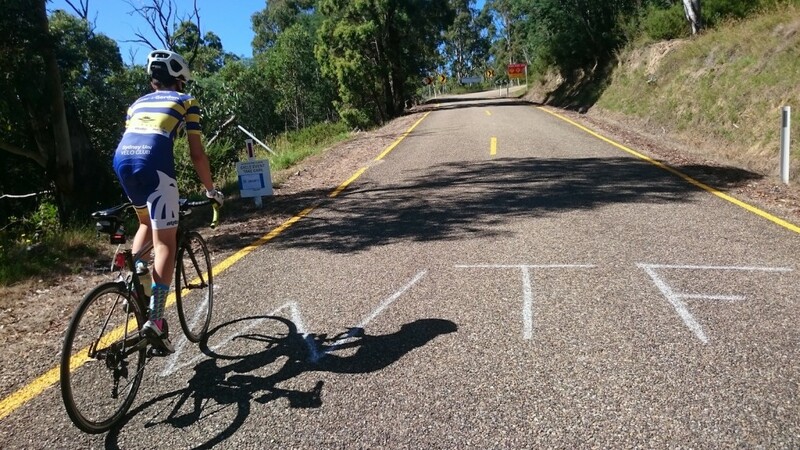 Beauty and when we got to the Tawonga climb he told me to ride ahead. I paced up the climb at a reasonable speed knowing that it was the last hard section and I caught a guy that was about at my level. I had a little chat with him going up the hill but I wasn’t going to let him beat me to the top. When he accelerated I sprinted past him, over the hill and then down the other side. It was fair to say that I was feeling better than I expected. 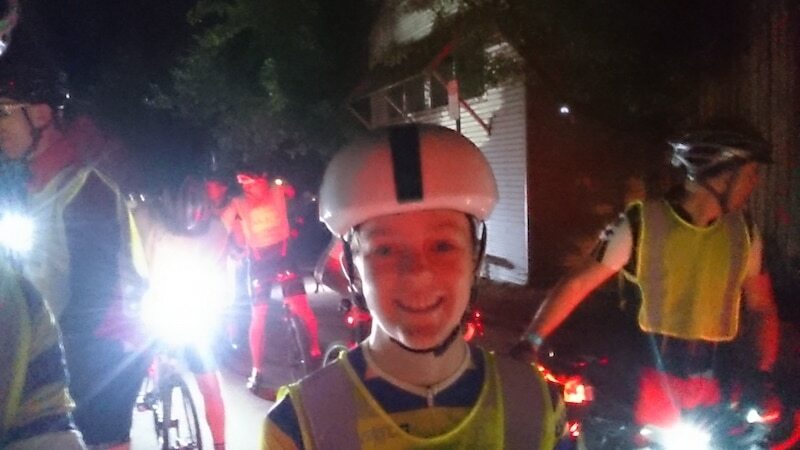 I found a nice group to ride into Bright with and, as I rolled under the long corridor of trees and through the finishing chute, I thought back at the awesome day that I had just had and how I will definitely be back next year. Dad was only about five minutes behind me and when we saw each other back at the carpark we gave each other a big high-five then quickly changed into our boardies and jumped into the river. I’d like to thank Audax for putting on such an amazing day and also all of the volunteers who took time out of their day to make our ride that little bit easier and more enjoyable.